Charles Wright, is the 2014-15 U.S. poet laureate. Photo by Holly Wright. 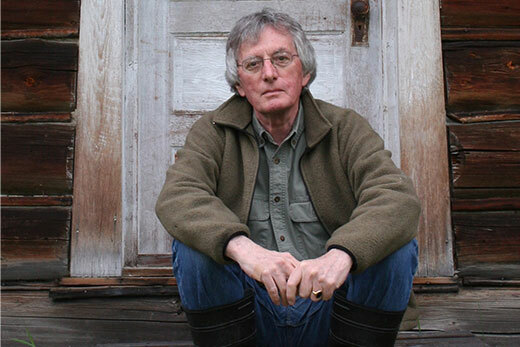 Charles Wright, the 2014-15 U.S. poet laureate, will give a reading of his works on Thursday, Oct. 1, at 7:30 p.m. at the Schwartz Center for the Performing Arts on the Emory University campus. The event is open to the public free of charge, and tickets are not required. Born in Pickwick Dam, Tennessee, in 1935, Wright is the author of 24 poetry collections, including most recently "Caribou" (2014), which Publishers Weekly calls "a dexterous balance of lightness in dark . . . rife with nihilism, humor, and beauty." Wright's many honors include the Pulitzer Prize, the National Book Award, and the National Book Critics Circle Award, as well as the 2008 Rebekah Johnson Bobbitt National Prize for Poetry from the Library of Congress. "Charles Wright is a poet of deep feeling, lush phrasing, and Southern wilds – a poet who can compare Miles Davis and Elizabeth Bishop in the same poem," says poet Kevin Young, curator of literary collections at the Raymond Danowski Poetry Library at the Manuscript, Archives, and Rare Book Library (MARBL) and Charles Howard Candler Professor of English and Creative Writing at Emory. "He is one of our best and most musical poets, whose work teaches and transcends." The reading will kick off the 10th anniversary of the Raymond Danowski Poetry Library Reading Series, which began in 2005 with Young as the first reader. The event is sponsored by Emory Libraries; MARBL; the Creative Writing Program at Emory, and the Hightower Fund. The Schwartz Center for the Performing Arts is located at 1700 N. Decatur Rd., Atlanta, GA 30322. Parking is available in the Fishburne and Lowergate South decks.